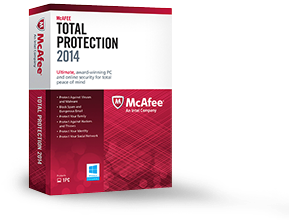 McAfee has released McAfee Total Protection 2014 - The Ultimate, award-winning PC and online security. 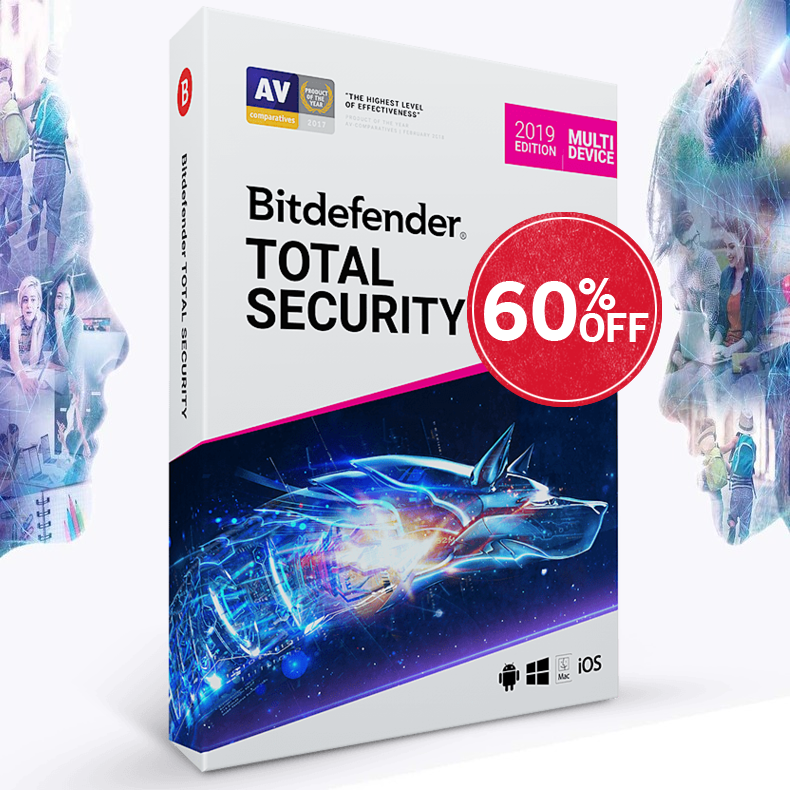 McAfee Total Protection 2014 provides comprehensive, proactive security that guards what you value and shields your PC from interacting with potentially dangerous websites. High-performance scanning engine (ENHANCED) - We built our next-generation scanning engine to guard your PC from the latest viruses, Trojans, spyware, rootkits, and other threats, all without seriously compromising battery life or slowing down your PC. Safe searching and shopping (ENHANCED) - With color-coded icons next to every search result, including popular social networking sites, you’ll know if the site you’re about to visit is safe. Digital data message (ENHANCED) - We provide information about the location of the blocked IP address and what makes the connection unsafe. Malicious ads and popup protection - Websites don’t always have control over the ads they display. Sometimes, you might find a risky ad on a site you trust every day. 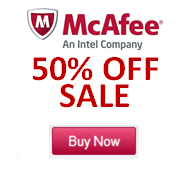 McAfee automatically blocks suspect malicious ads to keep you protected. Antispam (ENHANCED) - All those unwanted emails aren’t just annoying. They could be malicious. We’ll filter out all the undesirable stuff to keep you and your inbox protected. And the antispam engine integrates with new technology to make sure the right emails are making it into your inbox. Anti-phishing software - Identity theft is on the rise. McAfee ® SiteAdvisor ® LIVE technology steers you clear of dangerous sites by actively blocking phishing links you might receive through email, IM, and social networks. Parental controls - Worried about your kids seeing stuff they shouldn’t? Parental controls let you block inappropriate sites with age-based rules and adjustable categories. You can even limit the amount of time they spend online and print reports for every user you’ve set up. Surfing report - Find out what your kids have been up to online through the surfing report. You’ll know when they log in, if they attempt to access forbidden sites, and how much time they spend online. Home screen - Got a touch-friendly device? Our new home screen is built for ease of use with these devices. And it still works great with a track pad or mouse, so navigating to common security tasks is a breeze on any device. Security reports - We’ve redesigned the security report to bring you the information you need in visually interesting ways. The new report includes relevant images and links for an easier- to-understand snapshot of what’s going on in the world of security. Vulnerability scanner - If your operating system (OS) and programs are out of date, you could be vulnerable to threats. The new vulnerability scanner checks your PC for missing updates, and then recommends solutions to keep you safe. Encrypted storage - We believe everything on your PC should stay personal. That’s why McAfee Total Protection ™ software includes File Lock to safeguard your files in a secure digital vault on your PC and to block others from accessing them. Wireless network protection - Unprotected Wi-Fi is like an open door for cyberthieves. McAfee Home Network Defense keeps it locked by protecting your passwords and personal files on your PC when you share your wireless network. Safe URL sharing - It’s easy to share photos and stories on your favorite social networks. And it’s also just as easy to share dangerous stuff. McAfee Total Protection software includes tools for safely sharing URLs with friends, so you can stay safe even if your favorite social network gets hacked. URL shortener - Worried about tweeting malicious stuff by accident? The new integrated URL shortening tool lets you spread the news safely through updates and tweets that are short and sweet.